Kodak has issued a statement to clarify its current position outside of the US, after announcing that it was filing for bankruptcy protection yesterday. The company notes that its "non-U.S. subsidiaries are not included in the filings and will continue to operate as usual. Accordingly, these international operations continue to honour all obligations to customers and suppliers, whenever incurred. "Our European business is not affected by the decision that has been taken by our US parent company to file for voluntary Chapter 11 business reorganisation for US businesses." Philip Cullimore, managing director for Europe, said. 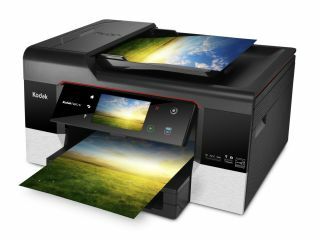 "In Europe we have seen a significant shift towards business-to-business imaging applications, and are weighted towards printing. These businesses in Europe are performing well and growing fast." So, for the moment at least, it's business as usual in Kodak UK's headquarters at Hemel Hempstead. Kodak has launched a new website - Kodaktransforms.com - where it intends to update information about the company's reorganisation. The company has once again confirmed its commitment to continue to provide staff with their wages and benefits throughout the reorganisation process, which should be completed in the US by 2013.